We are in the season of Lent. 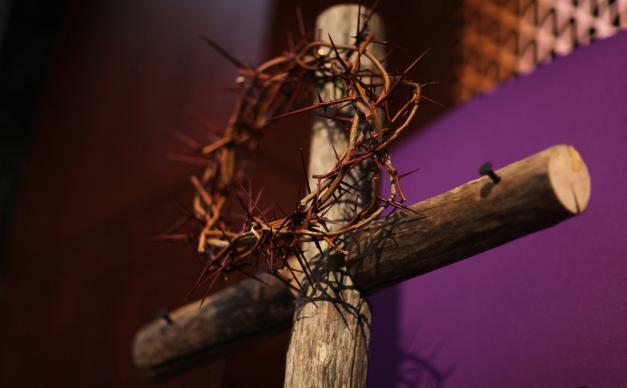 Lent is that 40 day period (okay 46–but Sundays don’t count) between Ash Wednesday and Easter Sunday that began historically as a time of spiritual preparation as early converts were prepared for membership in the body of Christ. It was also a time when those who had separated themselves from the body of Christ were reconciled through confession and repentance. I’m struggling with what it means to “observe a holy Lent,” which we Methodists are invited to do on Ash Wednesday. I can’t say that I like Lent. I don’t like Lent because I am convicted by how un-holy I can be. I am convicted because Lent calls me to reflect on the temptations of Jesus in the wilderness, and as I consider his response to temptation, I realize my own failure in places that I’d rather not reveal here. In due time all agreed. One confessed he liked to go to movies and would sneak off when away from his church. The second confessed to enjoying cigars and the third confessed to enjoying card playing. When it came to the fourth one, he wouldn’t confess. The others pressed him saying, “Come on now, we confessed ours. What’s your confession?” Finally he answered, “It’s gossiping and I can hardly wait to get out of here.” I really don’t like Lent because it causes me to reflect and confess, and that’s just awfully painful. And then, there’s just the whole idea of self-denial. I actually have to give something up? Come on, now! You can’t be serious? I enjoy my coffee, or my diet coke, or my red meat, or my…well, you have to fill in the blank, because I have too many of my own blanks to fill in (whoops! There’s another confession! ), but you get the idea. I just don’t see the need for self-denial, after all. God has blessed me greatly, and doesn’t God want me to enjoy these blessings? But because I’m a company man, and I want to at least appear holy, I acquiesce and I practice the Lenten observance by reflecting and praying and confessing and giving up. The observance of Lent reveals to me that what I counted as blessings (material possessions, health, good success) are more fruits of my own labors than they are God’s blessings, and the reality that any and all of those “blessings” are transient in nature—here today and gone tomorrow. It causes me to wonder if there were no material possessions, no good health, no great success, would it affect my trust of Him? I realize just how hollow I can be, and somehow, by some mysterious means in this realization, I am drawn closer to Christ (isn’t grace amazing? ), and I don’t seem quite as hollow as before, somehow perhaps even a little more holy. Forget that I was drug kicking and screaming to the observance. The Spirit has done His work—somewhat akin to the terrible tasting medicine we received when we were children. We hated it, but it worked. So, I invite you to observe a holy Lent. Pray more deeply, reflect more seriously, confess more faithfully, and deny the comforts that shape us. Do so kicking and screaming, if you must, but be prepared to see the Spirit work and draw you closer to Christ. That is what Lent is about, you know.